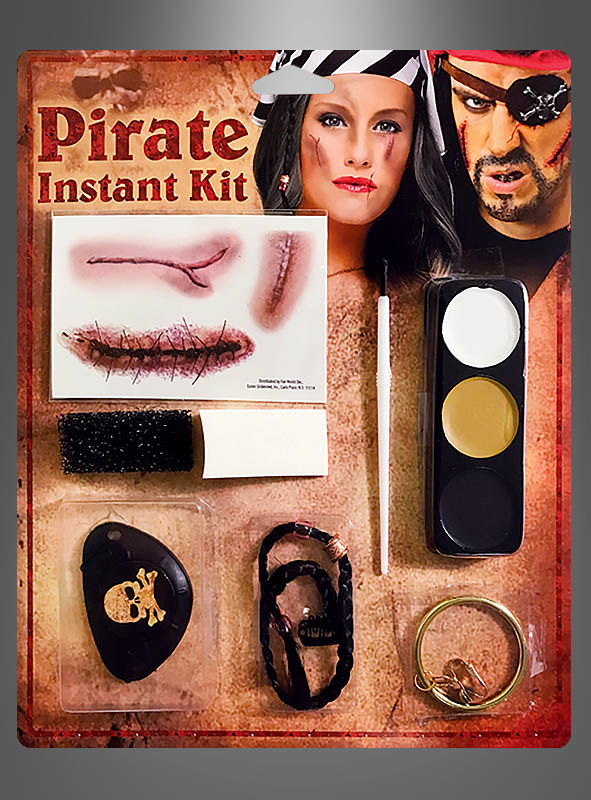 Instant kit for men and women to dress up as pirate. Includes everything you need for your make up as well as some accessories. It‘s enough for a pirate couple if you share the accessories.